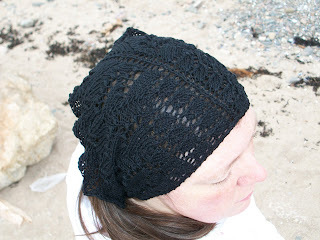 This headscarf has been finished for a couple of weeks but I haven't had any decent photographs to show. 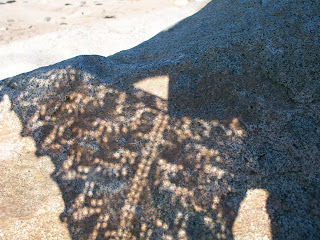 Actually I don't event think these photos are any great shakes, apart from number one, the shadow one. 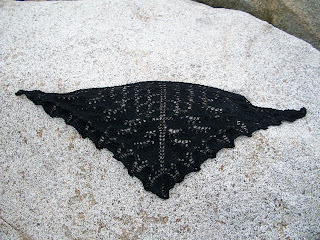 This is the lovely Swallowtail Shawl by Evelyn A. Clark, from Interweave Knits, fall 2006. This is not the first time I have made this pattern but it is the first time I have done the Lily of the Valley section with the nupps. 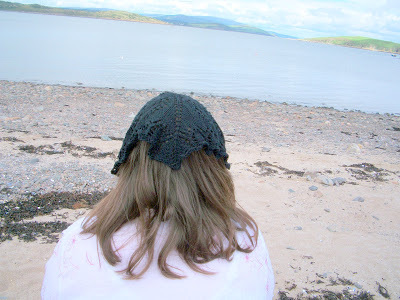 It's made with Patons 100% Cotton 4-ply left over from this headscarf from last year. Oooooh , that shawl is fantastic !!! And it looks beautiful on you !!! wish my head tolerates headscarves! I look like total idiot with anything on my head! Luckily you head has amazing headscarf on!